Lighthouse is a lavish engineered hardwood product that is a part of Naturally Aged Flooring's best-selling Medallion Collection. 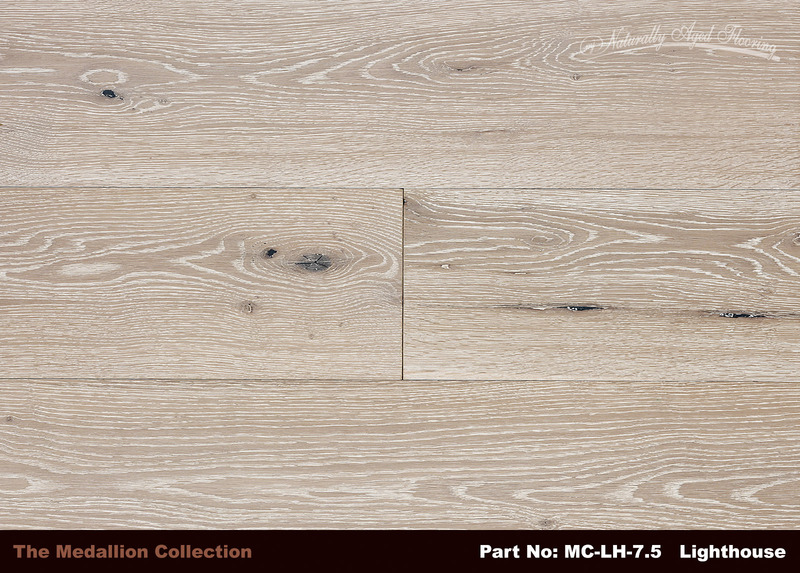 The light sand coloring, drift wood appearance, and medium fill have all been combined into one stunning hardwood floor. While the lighter tones will open up any living space to create a larger atmosphere and peaceful ambiance, the natural knots are sure to make an impression. No matter your color scheme, Lighthouse will make any room feel tranquil. 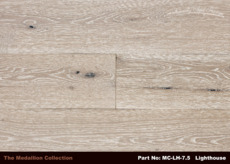 On the forefront of today’s interior design trends, this floor delivers a one-of-a-kind, clean look, which will enhance any living room, office, hallway, bedroom or kitchen with its natural charm, adding instant style to any space. 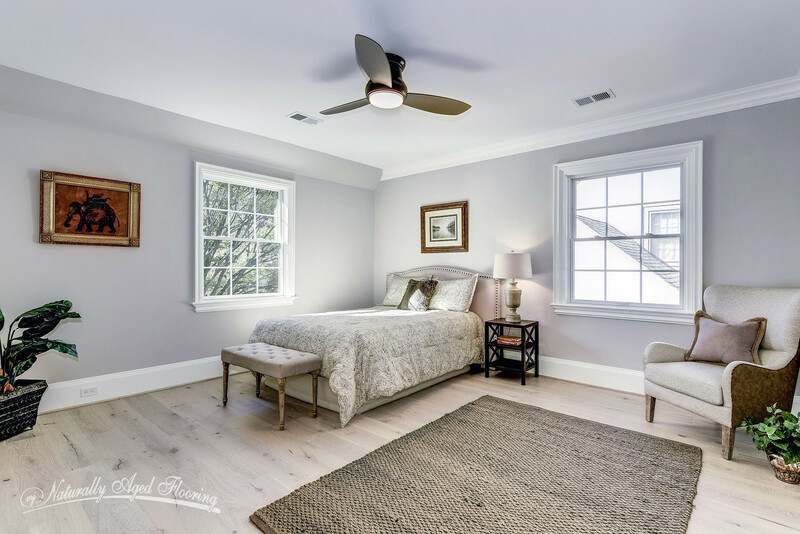 Delivered on a 9/16” x 7 ½” platform of the highest quality oak, Lighthouse is a lifestyle-enhancing, beautiful, engineered hardwood flooring that will last for many years to come. This durable oak flooring comes standard with light wire-brushed distressing to create a beautiful textured finish, revealing a unique variety of tones and character grading. 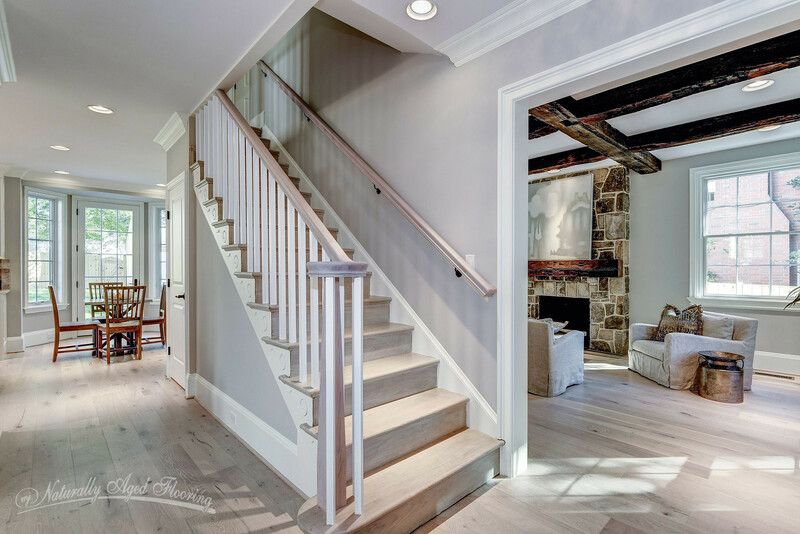 Wire-brushing draws attention to the natural grain and character of Lighthouse, and this oak hardwood flooring's color variations create a timeless appearance. 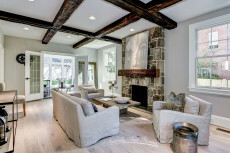 Oak has been used for centuries as the standard for hardwood flooring as its durability surpasses other species such as red oak, teak, or cherry, making it great for everyday living throughout one's home. The UV Polyurethane finish provides lifetime durability, easy maintenance, and resistance to wear, tear and sun damage. 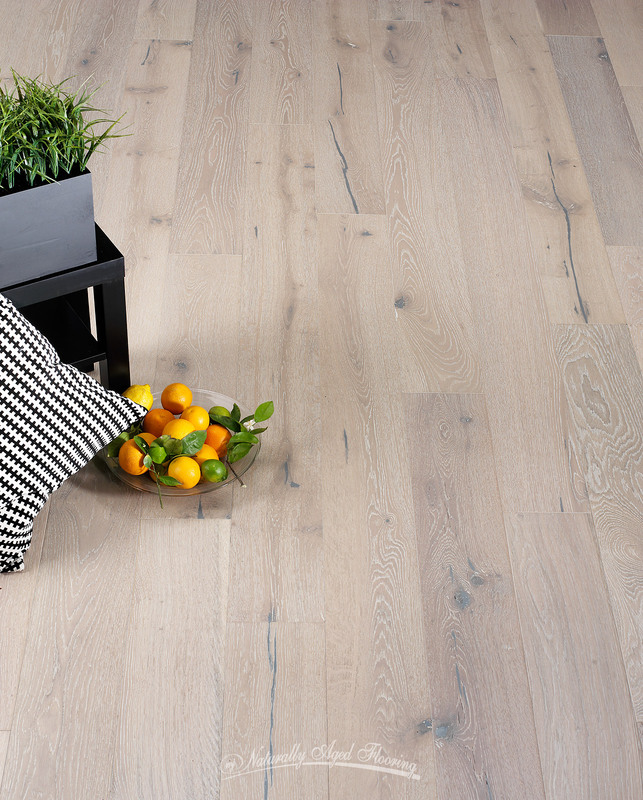 With Naturally Aged Flooring's renown "always in stock” availability, why go anywhere else?